Item Price + Nat rune price < High Alch value. for a potential high alch item. Pretty hard to find anything at that range back when I played. Rune daggers were usually the best. B. they bought the logs (or maybe even cut them) and the bow string and made the bow themself and alched it and made a profit while training fletching and magic. For example, magic logs right now are 1.2k, bow string is 150, nats are 240. Buy them for lower overnight and you've made profit. Same for yews. There are others things you can reliable alch though, and even some cheeky ones depending on the market. Air battlestaffs, pretty much any rune item if you buy it overnight for lower, sometimes d'hide bodies and vambs, I've even alched mystic stuff before if i got a profit off it. But there are several other methods of training magic that trump alching. I.For comparison, alching is around 70k xp/hr, closer to a low 65k realistically. II.Superheat smelts ore in your inven using magic. Level 55 requirement, is typically upwards of 100k xp/hr and is a profit. Gives smithing xp too, granted nothing to write home about. III. I personally did string jewelry (lunar spell, strings amulets) that is afk, near 160k xp/hr but pretty big loss of money. Level 83 requirement and lunar diplomacy. IV. "Stunalching" Wield a mud staff, cast the spell stun then alch inbetween the cast time. A low estimate is near 150k xp/hr but some people have reported upwards of 170k xp/hr. Not as much loss as string jewelry, but is relatively click intensive and requires a mild amount of concentration in comparison to the click 3 times every minute that string jewelry is. You can also just stun instead to be less click intensive. Level 80 requirement. V.Plankmake is heavily click intensive method, but boasts a nice looking 160k xp/hr while profiting on average. Most people use mahogany. Lunar spell turns logs into planks.Level 86 requirement and lunar diplomacy. VI. I've heard talk of tan leather being used with magic imbue (resets game ticks, just know that it allows you to cast your next spell sooner than normal) to rake in some pretty numbers, but it hasn't been messed around with too much because it has a diary requirement to use the spell. Level 78 requirement, lunar diplomacy, and fremmy hard diary. Every single one of these methods are faster xp/hr than alching, and some even profit. There is a mind set that if you spend more gp to get faster xp, you can use the time saved to make more money than you would have saved to begin with. If you take the figures starting from 80 magic, you'll save at least 80 hours of training doing either string jewelry or stunalching compared to alching, and you'd even profit several mil if you did plankmake. Why save even 20m to do a training method that takes up to 80 hours longer? If you did almost any money making method with the time saved then you'd profit in the end. If you theoretically did green drags for 80 hours (if you didn't kill yourself before that) which can be estimated at 500k gp/hr for the mid level player then you'd make 40m overall. There are better money making methods than 500k gp/hr, so it just makes more sense to use the faster method. Sincerely, this took way longer than I expected to write this out. [b]B. [/b] they bought the logs (or maybe even cut them) and the bow string and made the bow themself and alched it and made a profit while training fletching and magic. For example, magic logs right now are 1.2k, bow string is 150, nats are 240. Buy them for lower overnight and you've made profit. Same for yews. There are others things you can reliable alch though, and even some cheeky ones depending on the market. Air battlestaffs, pretty much any rune item if you buy it overnight for lower, sometimes d'hide bodies and vambs, I've even alched mystic stuff before if i got a profit off it. [b]I. [/b]For comparison, alching is around 70k xp/hr, closer to a low 65k realistically. [b]II. [/b][url=http://2007.runescape.wikia.com/wiki/Superheat_Item]Superheat[/url] smelts ore in your inven using magic. Level 55 requirement, is typically upwards of 100k xp/hr and is a profit. Gives smithing xp too, granted nothing to write home about. [b]III. 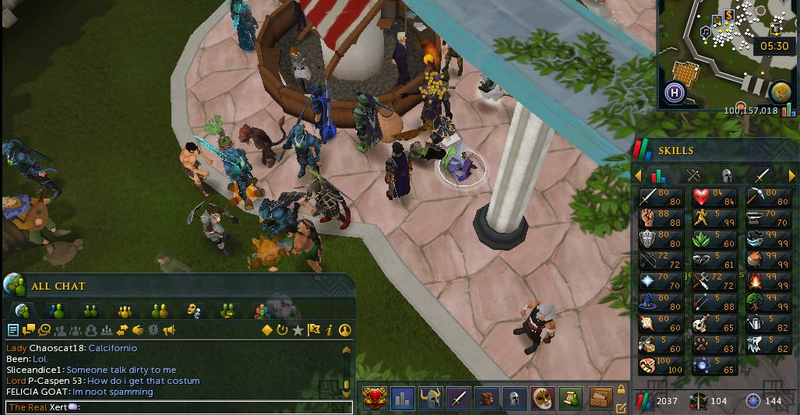 [/b] I personally did [url=http://2007.runescape.wikia.com/wiki/String_Jewellery]string jewelry[/url] (lunar spell, strings amulets) that is afk, near 160k xp/hr but pretty big loss of money. Level 83 requirement and lunar diplomacy. [b]IV. 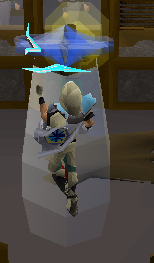 [/b]"Stunalching" Wield a mud staff, cast the spell [url=http://2007.runescape.wikia.com/wiki/Stun]stun[/url] then [url=http://2007.runescape.wikia.com/wiki/High_Level_Alchemy]alch[/url] inbetween the cast time. A low estimate is near 150k xp/hr but some people have reported upwards of 170k xp/hr. Not as much loss as string jewelry, but is relatively click intensive and requires a mild amount of concentration in comparison to the click 3 times every minute that string jewelry is. You can also just stun instead to be less click intensive. Level 80 requirement. 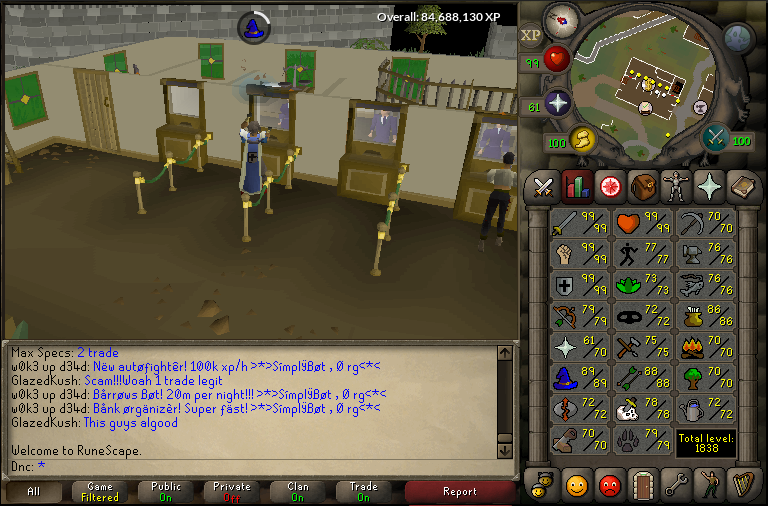 [b]V.[/b][url=http://2007.runescape.wikia.com/wiki/Plank_Make]Plankmake[/url] is heavily click intensive method, but boasts a nice looking 160k xp/hr while profiting on average. Most people use mahogany. Lunar spell turns logs into planks.Level 86 requirement and lunar diplomacy. [b]VI. [/b] I've heard talk of [url=http://2007.runescape.wikia.com/wiki/Tan_Leather]tan leather[/url] being used with [url=http://2007.runescape.wikia.com/wiki/Magic_Imbue]magic imbue[/url] (resets game ticks, just know that it allows you to cast your next spell sooner than normal) to rake in some pretty numbers, but it hasn't been messed around with too much because it has a diary requirement to use the spell. Level 78 requirement, lunar diplomacy, and fremmy hard diary. Why are a lot of your stats drained to 5? Been playing for a few months now after a 10 year break. I've been back on the grind for a couple of days when I have down time at work. Hadn't played much in the last 4 months, recently picked it back up a couple weeks ago. Stat update. Decided to become mostly self sufficient in some of the skills (except construction) ran out of tree seeds so long ago so farming is suffering. 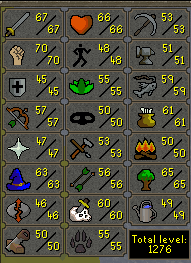 Current goals, 70 cooking, 55 crafting 175qp. deadman mode going to be released tomorrow, anyone hyped? phobiadeadman mode going to be released tomorrow, anyone hyped? Assuming they fixed the plentiful bugs that were in the livestream 12 hours before release, should be decent.